Alphonse Bertillon was a French policeman and researcher who standardized the modern mug shot. 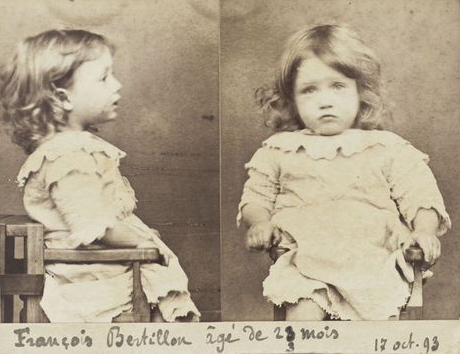 This photograph, of a whimsical nature, is of his son, François Bertillon, who at the age of 23 months was caught nibbling pears from a basket and “booked” by his father. My thanks for the history to the Museum of Ridiculously Interesting Things.